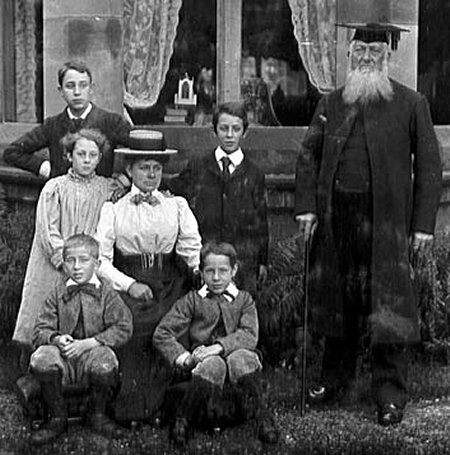 Rev.Denham Rowe NORMAN (1828-1931), with second wife and family in 1897. Born Chichester 19 May 1828; Died 10 June 1931; Curate of Wirksworth (1855-56); Curate of Ashton le Willows (1857-58); Vicar of Middleton (1858-75); Rector of St Mary's, Stafford (1875-98); Published The Origin and History of the English Bible (1870); The Crusades (1872); The Religious Orders of the Middle Ages (1873); Married 1853 Sarah Richardson; 1883 Elizabeth Grindley; children: left to right: Nigel, Cybil, Basil, Aubrey and Gwen. 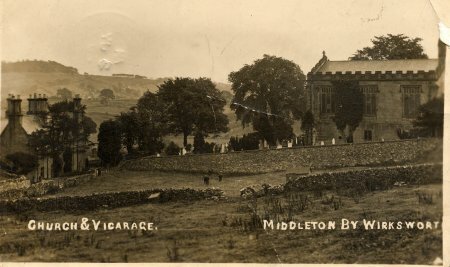 The one I can date is of the Church & Vicarage which was posted from Matlock on 2 July 1920 to a Miss Arkwright, The Gate (? - not v clear) House, Wirksworth thanking her for inviting the sender to a meeting on 13th. Taken 2009. 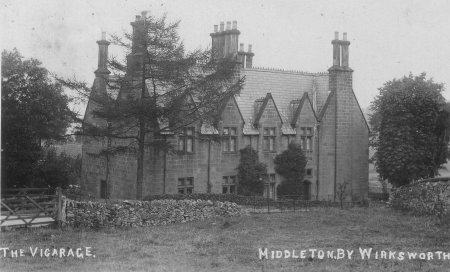 Note how the chimneys have been shortened. The Parsonage dates from 1852. The register dates from the year 1839. 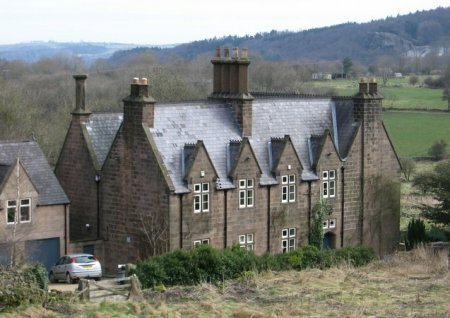 The living is a vicarage, tithe rent-charge, gross yearly value about £300, including 1½ acres of glebe, with residence, in the gift of the vicar of Wirksworth, and held since 1875 by the Rev. Edwin Cuthbert Harward M.A. of Trinity College, Oxford.